Need a budget-friendly new spot? Though apartment hunting can be challenging, don't despair just yet--there are deals to be had. So what does the low-end rent on a rental in Washington Square look like these days--and what might you get for the price? Per Walk Score ratings, the neighborhood is extremely walkable, is very bikeable and is a haven for transit riders. It also features median rents for a one bedroom that hover around $1,445, compared to a $1,475 one-bedroom median for Philadelphia as a whole. 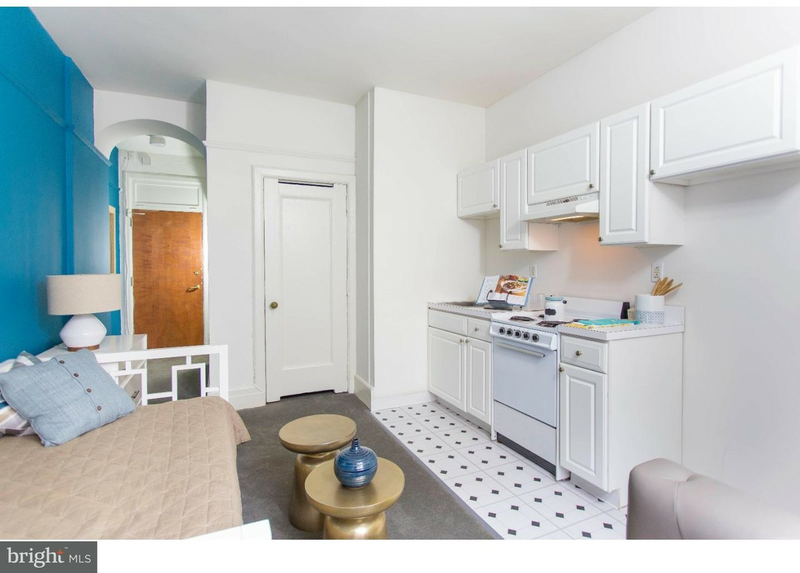 A look at local listings for studios and one-bedroom apartments in Washington Square, via rental site Zumper, paints a picture of what price-conscious apartment seekers can expect to find in this Philadelphia neighborhood. Listed at $1,010/month, this studio condo is located at 1229 Chestnut St., #601. When it comes to building amenities, expect a fitness center, on-site management, an elevator and on-site laundry. In the unit, you can expect carpeted flooring, high ceilings, white appliances and wooden cabinetry. Pets are not welcome. Here's a studio condo at 901 Clinton St., #4, which, with 400 square feet, is going for $1,040/month. Secured entry is included as a building amenity. The apartment features air conditioning, hardwood flooring, in-unit laundry, high ceilings and white appliances. Pets are not allowed. Over at 201 S. 13th St., #1204, there's this studio condo, going for $1,150/month. The building features on-site laundry, secured entry and on-site management. Apartment amenities include hardwood flooring, high ceilings, white appliances, granite countertops and recessed lighting. Pet lovers are in luck: cats and dogs are permitted.